Composed by from Sacred Harp. Arranged by James Gilbert. Romantic Period, Christian, Sacred. 24 pages. Published by James Gilbert Music (S0.37445). 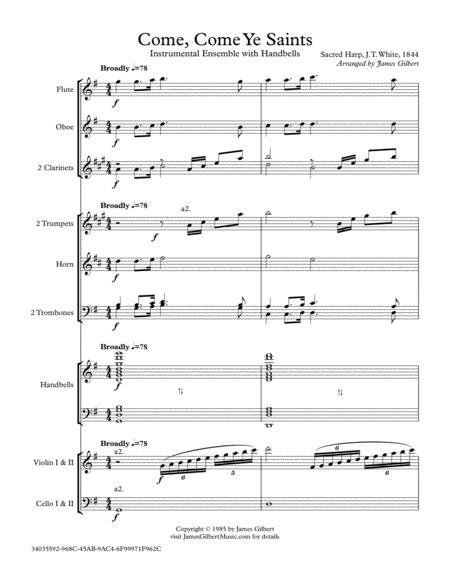 An arrangement of this piece for orchestra and handbells. The handbell part is an intermediate to early advanced level while the orchestra part is early intermediate to intermediate. Instrumentation: Flute - Oboe - 2 Clarinet - 2 Trumpet - Horn - 2 Trombone - Handbells (5 octave) - Violin - Cello.